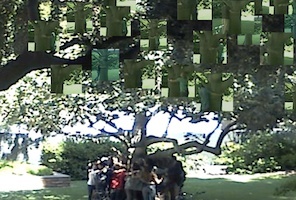 Margarida Faria[Virtual Hug], Maurício Martins[electronics]. 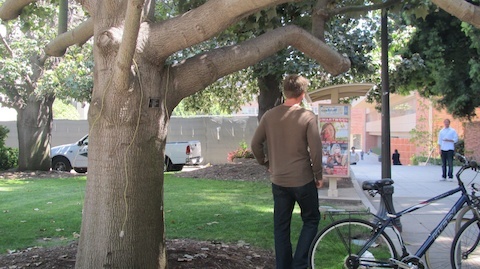 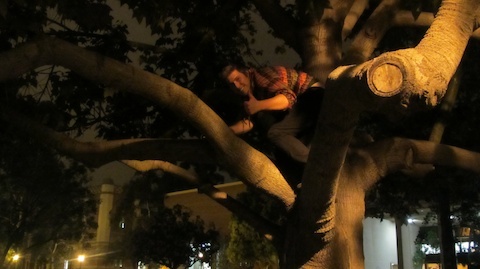 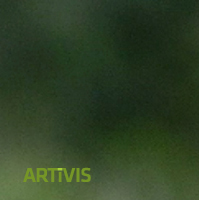 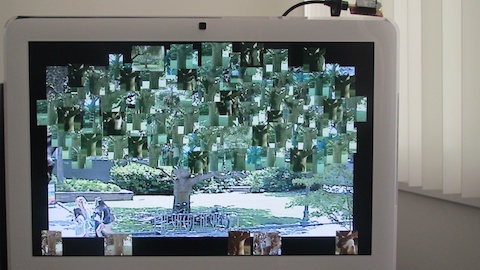 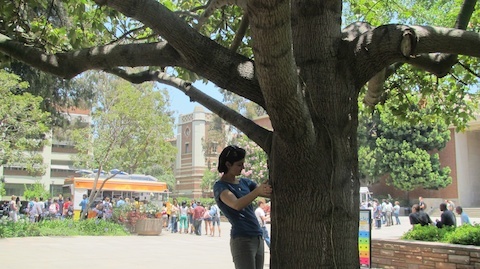 Hug@ree is an interactive installation that provides a bond between urban beings and the forest. 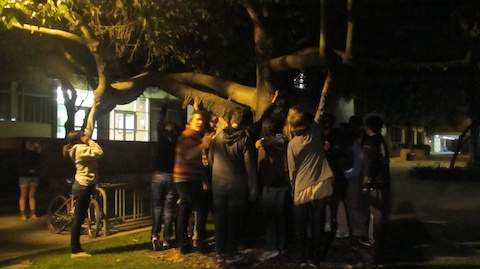 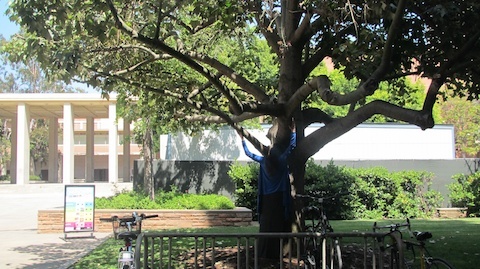 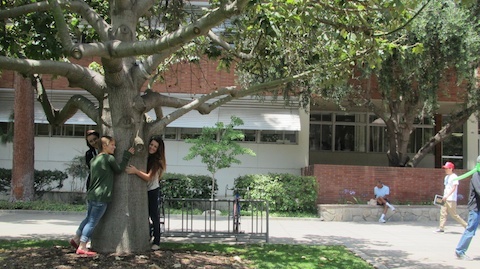 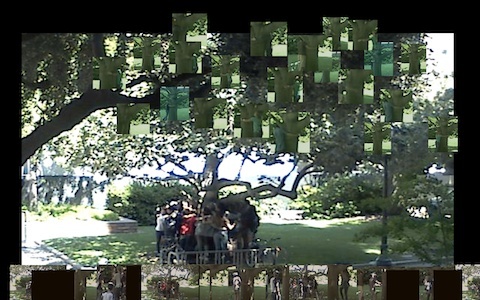 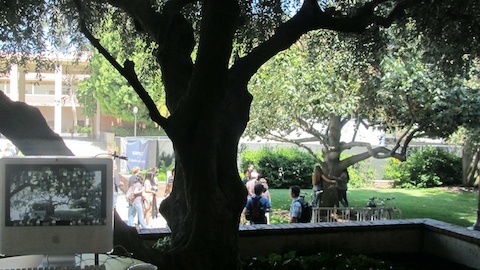 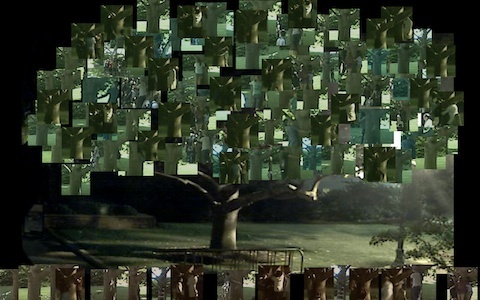 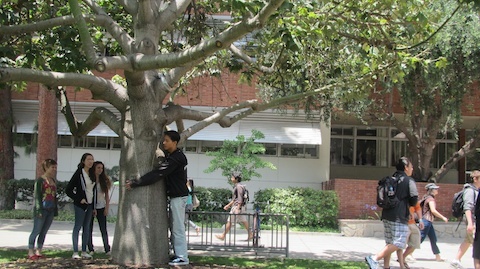 Participants hug a real tree, triggering their registration in the virtual world for further interaction. 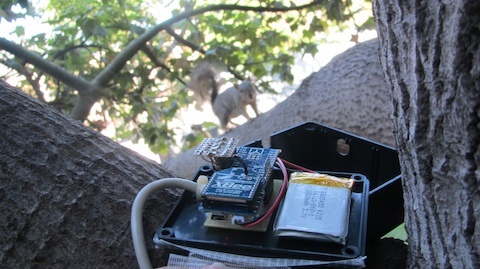 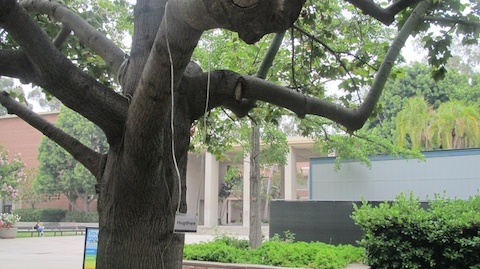 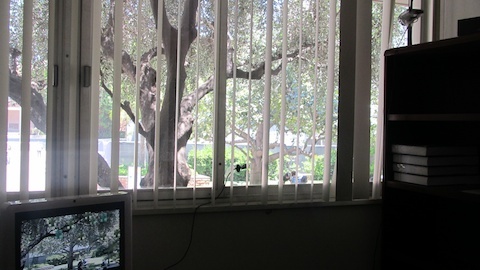 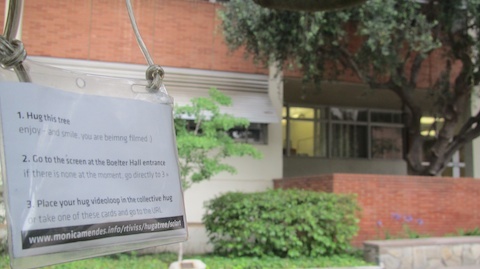 Hug@ree is currently at UCLA in the scope of the Summer Institute Sci|Art NanoLab. 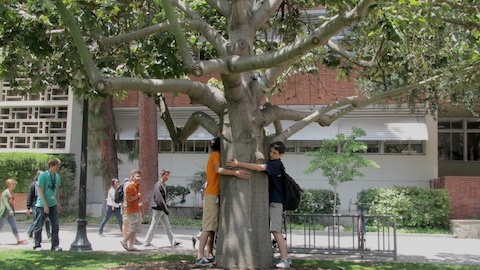 Multiple Hug@ree installations around the world will upload their leaves to an online platform, creating a global shared embrace of nature. 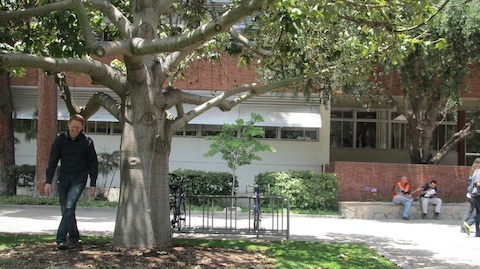 The Sci|Art NanoLab is a UCLA course aimed at making connections between cutting edge scientific research, popular culture and contemporary arts.